Ranset Rodriguez, 41, of Miami: 81 months in federal prison. Jose Manuel Iglesias, 52, of West New York, New Jersey: 81 months in federal prison. Yaniris Alfonso, 32, of Miami: 57 months in federal prison. Yadian Quesada-Hernandez, 32, of Tampa: 30 months in federal prison. Alejandro Moises, 53, of Miami: 24 months in federal prison. Luis Enrique Jimenez Gonzales, 28, of Hialeah, Florida: 24 months in federal prison. Eddy Pimentel-Vila, 46, of Jersey City, New Jersey: 24 months in federal prison. Yonasky Rosa, 35, of Tampa: 22 months in federal prison. Lester Enrique Castaneda, 39, of Hialeah, Florida: six months in federal prison and six months of home detention. Juan Carlos Banos, 59, of Parma, and Carlos Rodriguez Martinez, 43, of Aurora, Colorado, remain at large. The defendants conspired to install skimmers on point-of-sale terminals inside of gas pumps located in Ohio, Colorado, Maryland, Utah and elsewhere between August 2014 and July 2017. The defendants then re-encoded the stolen credit/debit card account information, including the actual account holders’ names, onto counterfeit credit cards, which were used to fraudulently purchase gift cards, merchandise, goods and services in Ohio and elsewhere, according to court documents. The defendants traveled from Florida to install the skimmers and worked together to distract gas station employees and/or obstruct their view while the skimmers were covertly installed. 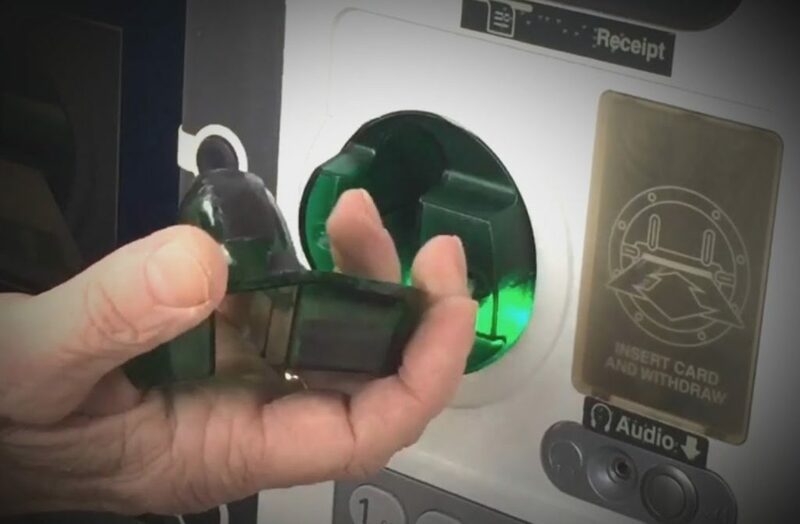 Skimmers were discovered on gas pumps in Rocky River, Solon, Stow, Hudson, Fairview Park, Medina, Cleveland, Canton, Cuyahoga Falls, Norton, Austintown and elsewhere, according to court documents. Assistant U.S. Attorneys Megan R. Miller and Robert W. Kern are prosecuting the case following an investigation by the Federal Bureau of Investigation, U.S. Secret Service and the Boulder County (Colorado) Sheriff’s Office.